was announced by Canadian company Gabriel Resources. Resistance to the plan has since spread across Romania. of people and has so far kept the project from being carried out. Kouvelou squat in Maroussi (northern suburb of Athens) was hit by arson in the middle of the night, at around 3 am on September 14th, 2011. The roof has collapsed and four rooms have been burnt. 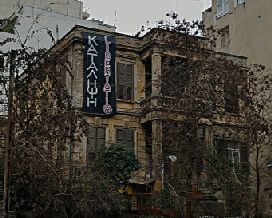 Anarchists/anti-authoritarians have squatted Kouvelou mansion since April 7th, 2010. More info as it comes. 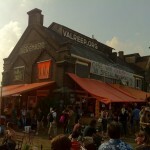 Valreep is a new squat in Amsterdam East. People there have been working very hard to clean up all the mess inside and make it into a social centre. The District Council (Local Government) was not amused, and came very often to do “inspections”. The Valreep people announced their official opening happening, and then the day before the opening the District Council came with the announcement to forbid the happening, otherwise a fine of 25 000 (!) euros would have to be paid. On Friday midday, September 9th, 2011, more than 100 police motorcycles appeared on the streets that surround Libertatia squat. Solidaritarians immediately reached the squat in fear of eviction. 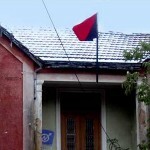 Cops invaded only the building’s front yard, but two comrades were detained and held in the city’s police headquarters. Both have now been released. This police operation was intended to intimidate a part of the radical social movement, just one day before the scheduled gatherings, manifestations and demonstrations ahead of the 76th Thessaloniki International Fair (TIF).